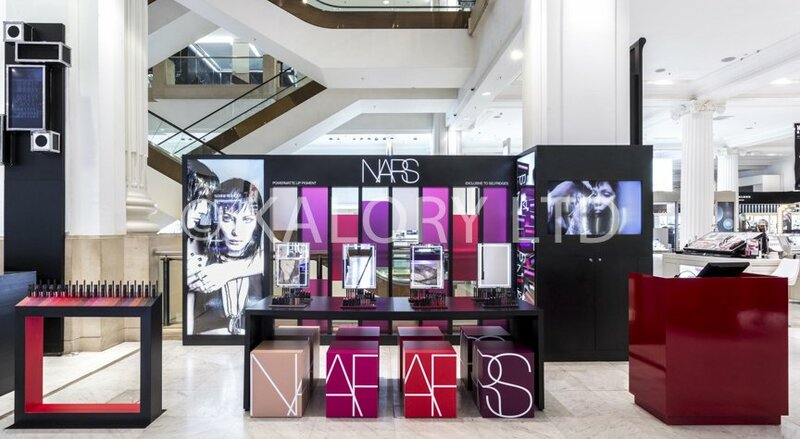 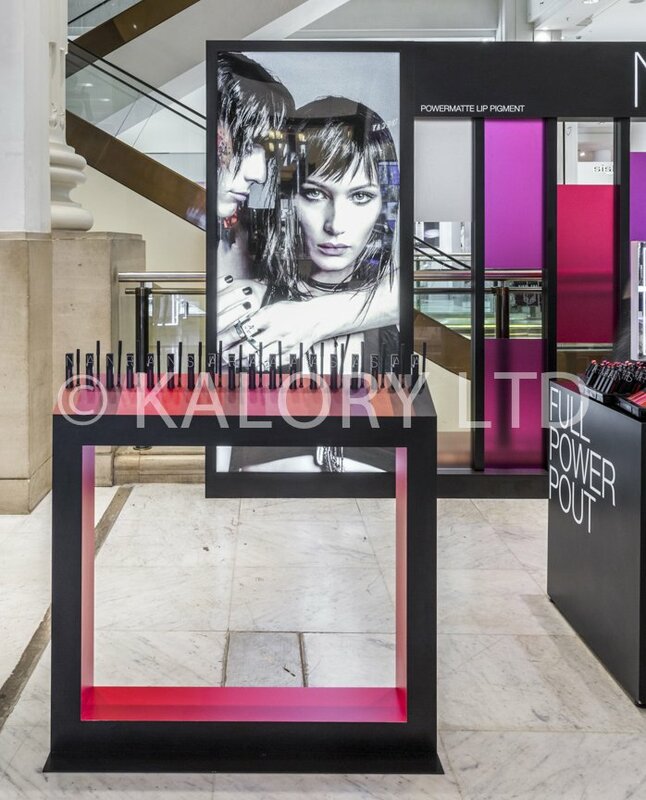 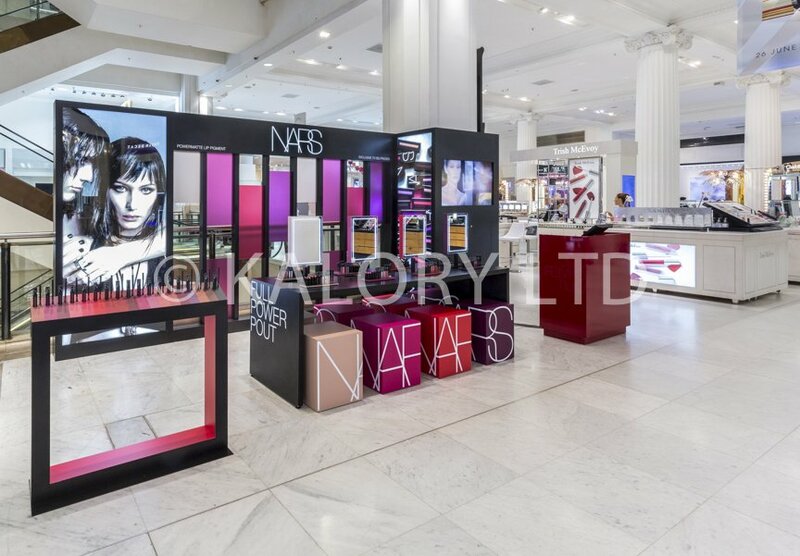 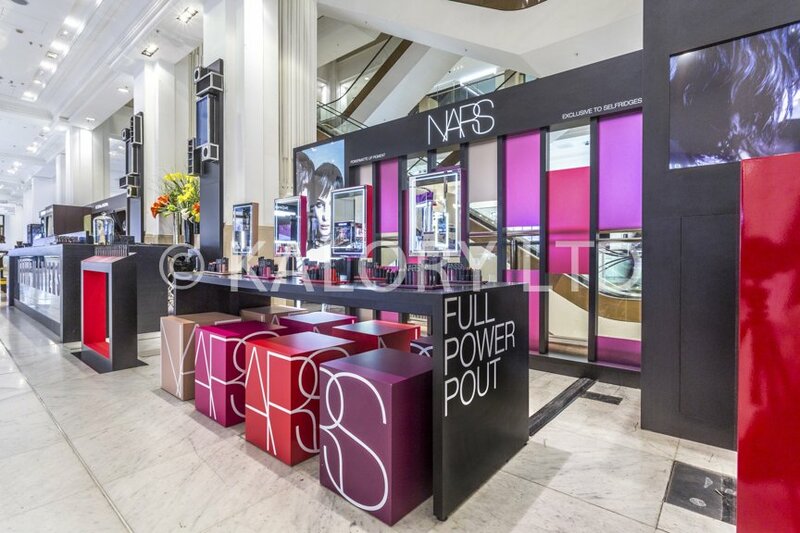 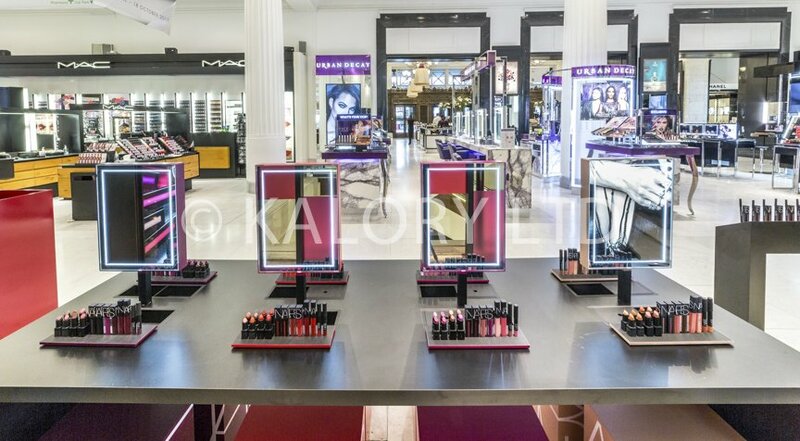 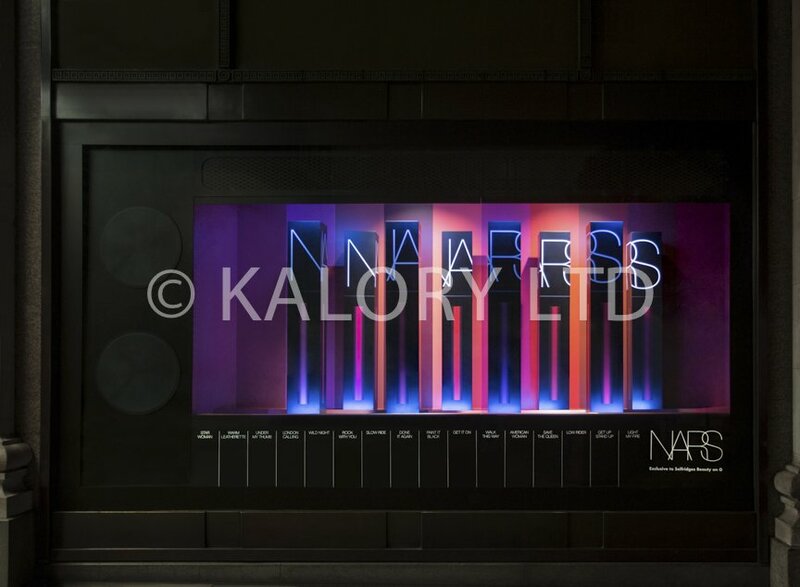 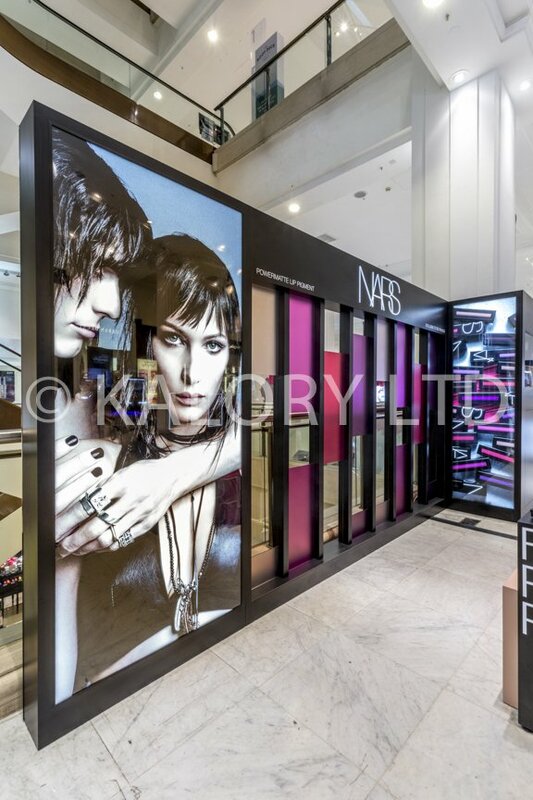 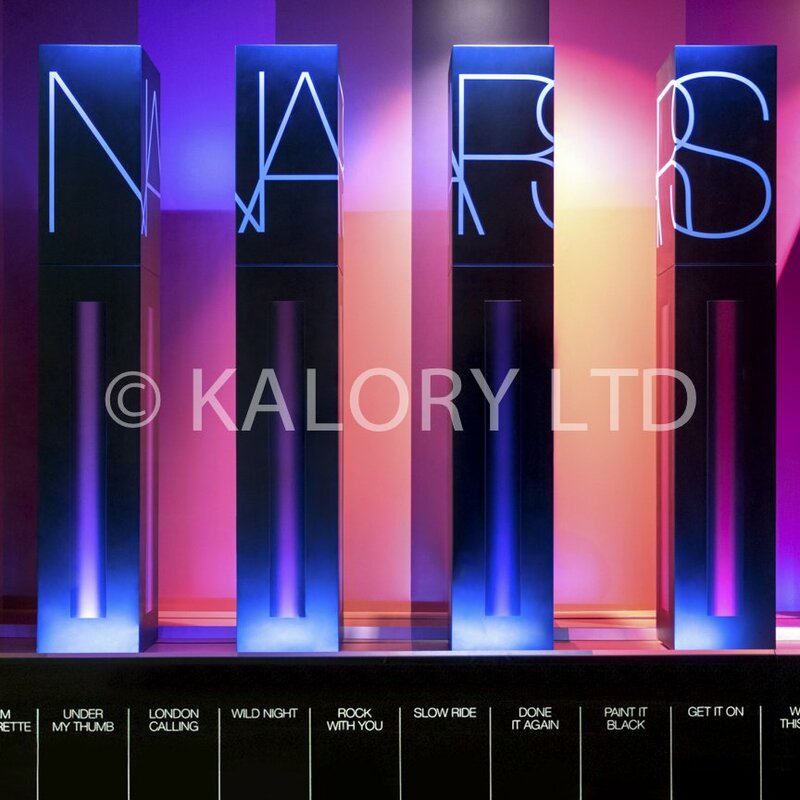 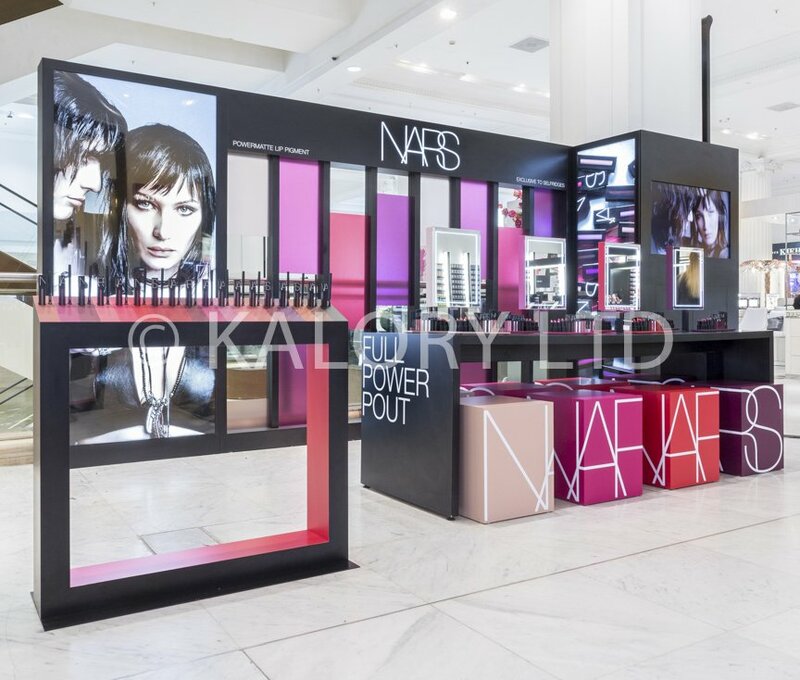 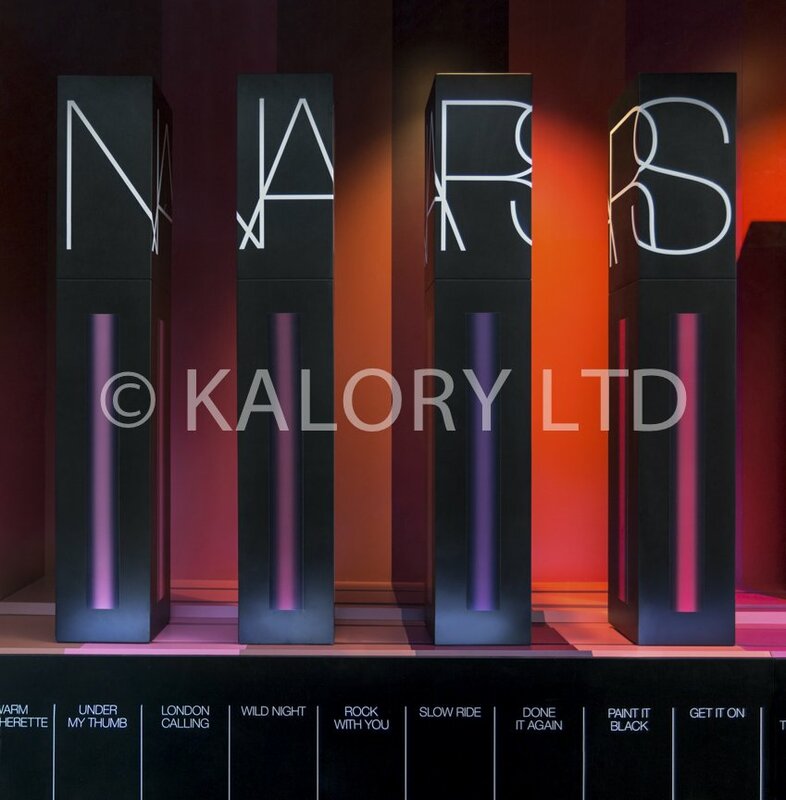 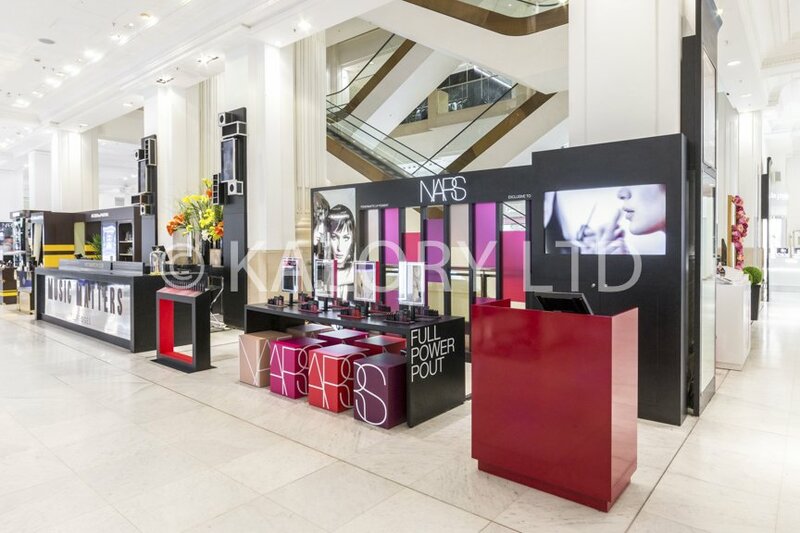 Nars Cosmetics approached us to shoot their pop up store located in Selfridges, one of the main luxury department stores in London, UK. 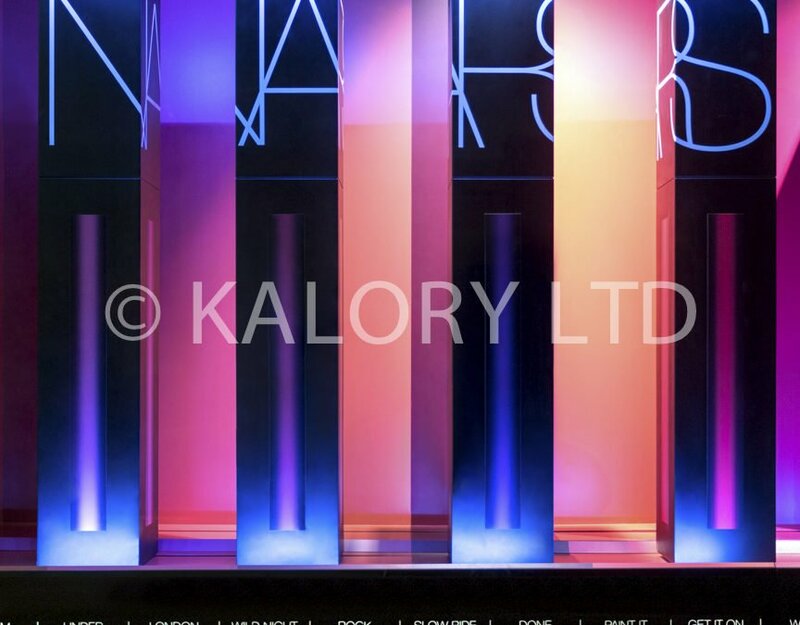 The brief was to capture the interior of the space paying attention to the colours and the atmosphere of the overall location, as well as 2 sets of pictures for the exterior window : one by night and one during day time. 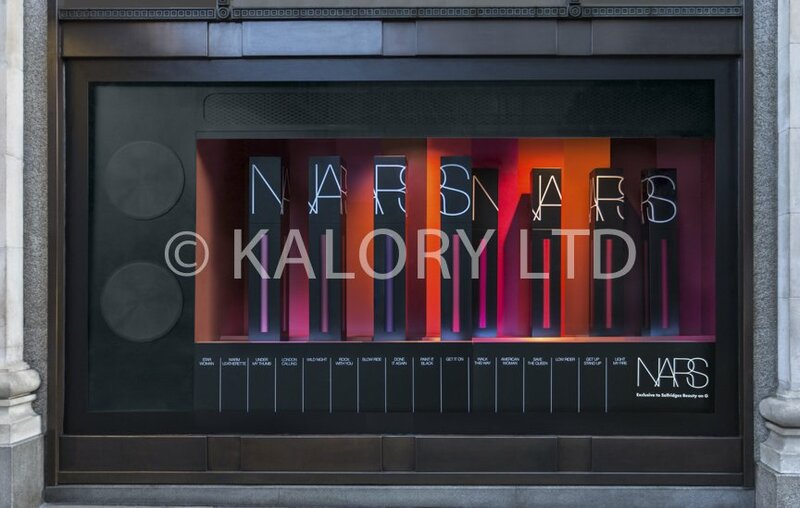 The window is located on the main european shopping high street (Oxford street) and has a high footfall, adding to that the visual display in the window was moving and an image for several key positions had to be captured. 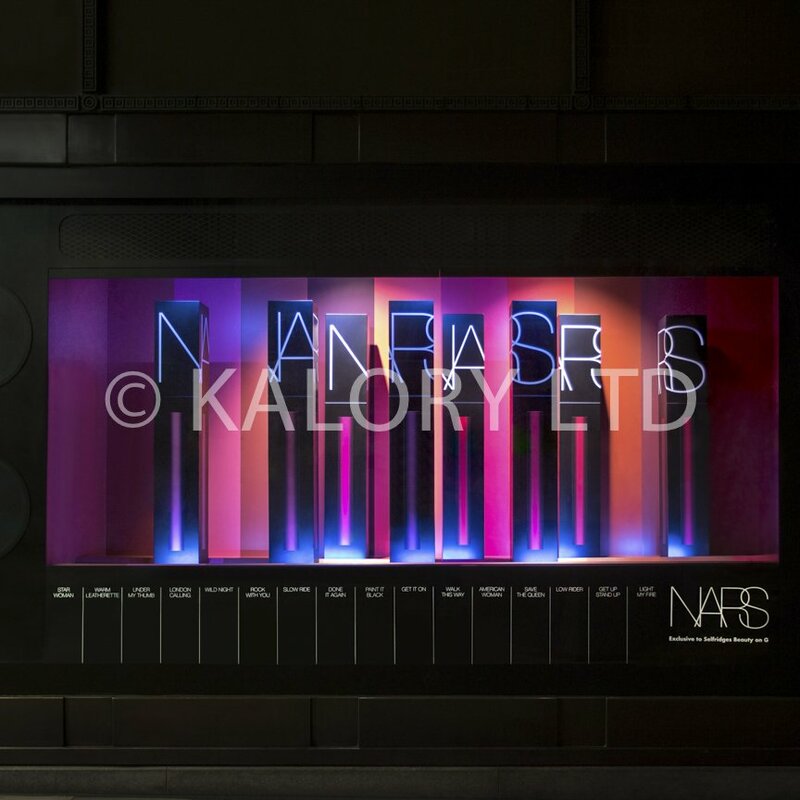 We used our reflection and glare control technique in order to get the best photographs of the window display.